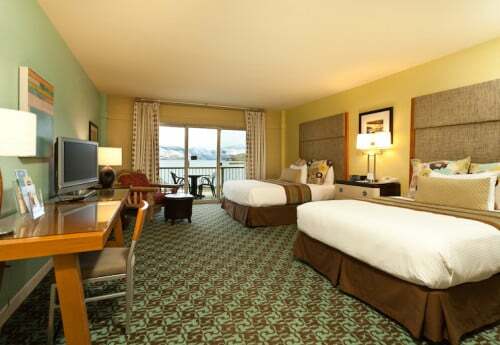 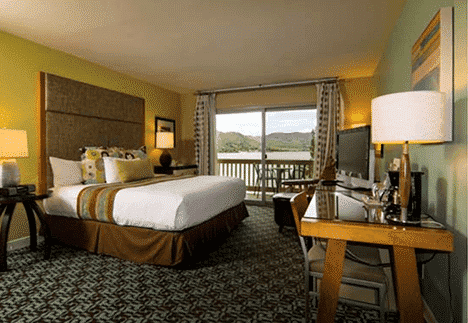 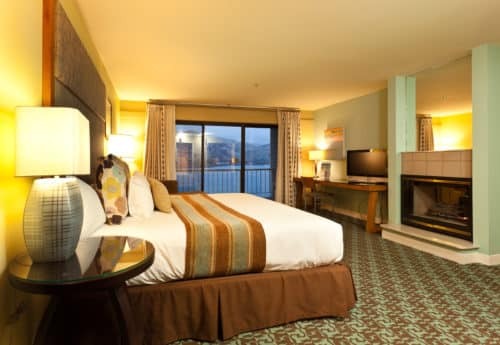 Campbell’s Resort offers 170 waterfront guest rooms in a wide range of accommodations, including family-friendly suites, two-bedroom units and rooms ideal for a romantic getaway. 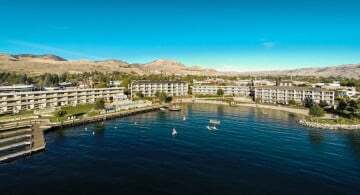 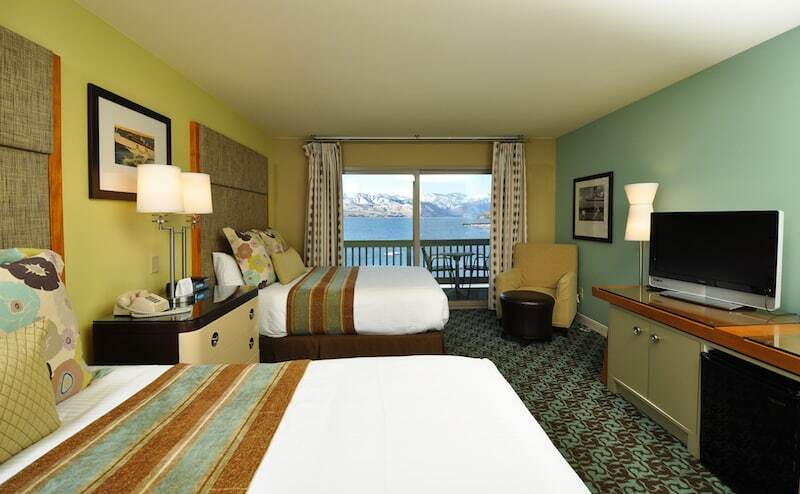 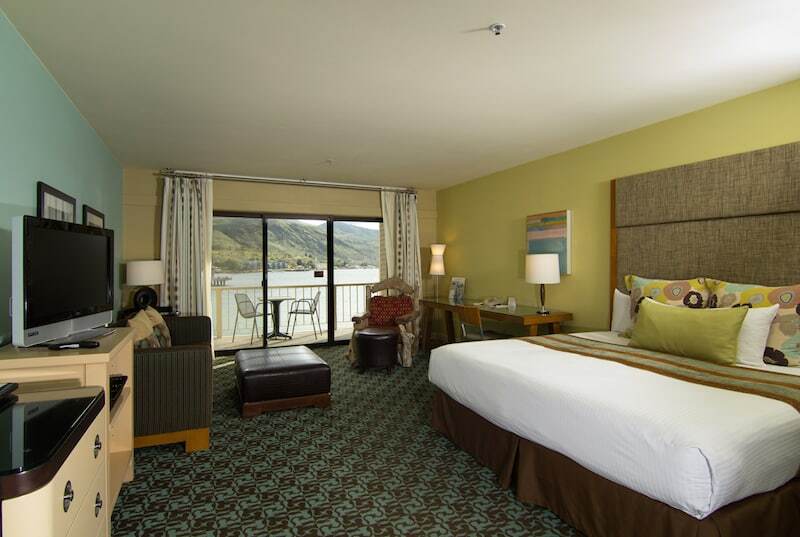 Every room comes with Campbell’s Resort’s signature feature, stunning uplake views of Lake Chelan from a private balcony or deck. 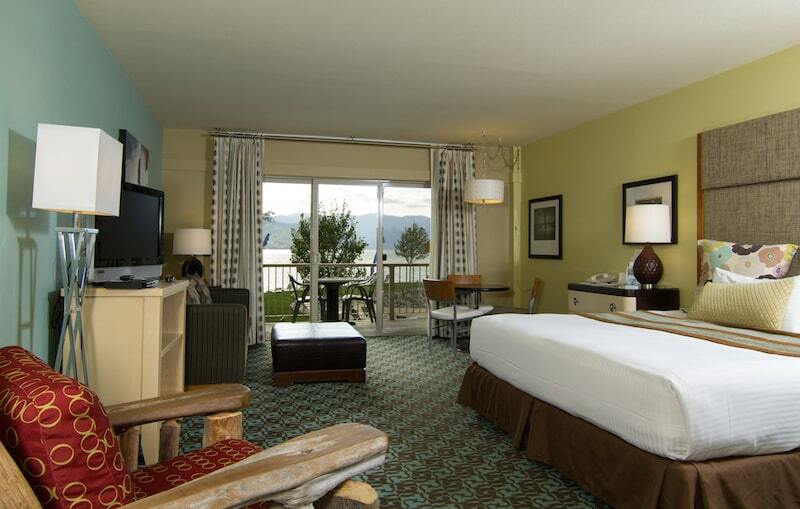 Come bask in the natural beauty at Campbell’s Resort. 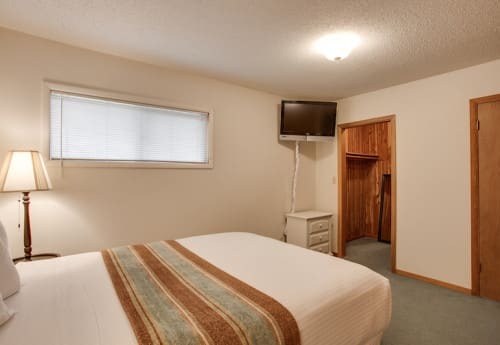 Relax in our lakefront studio hotel room with a pillow-top king bed, flat screen tv, and a quick stroll to enjoy all of the amenities that the resort has to offer! 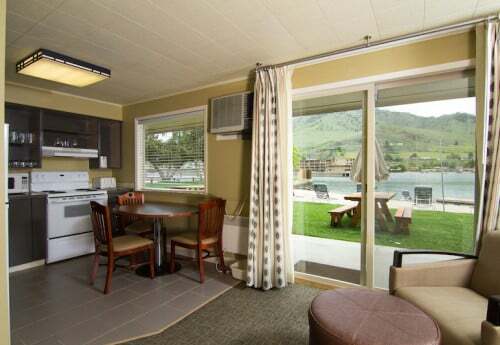 With panoramic uplake views, bask in the natural beauty at Campbell's Resort. Room sizes vary from room to room. 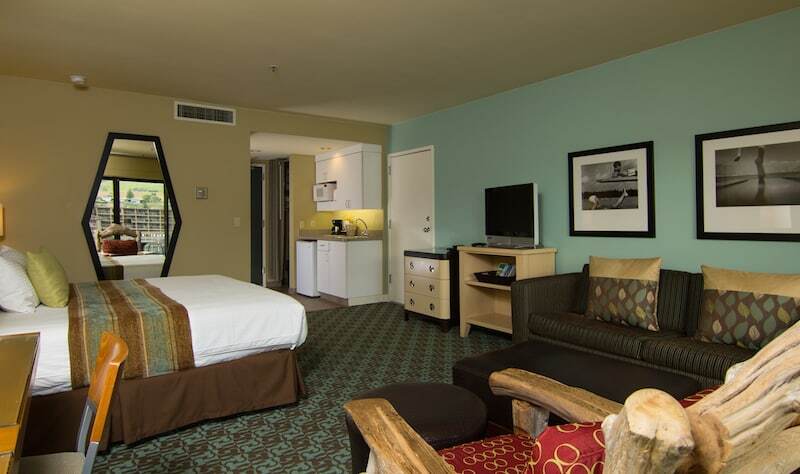 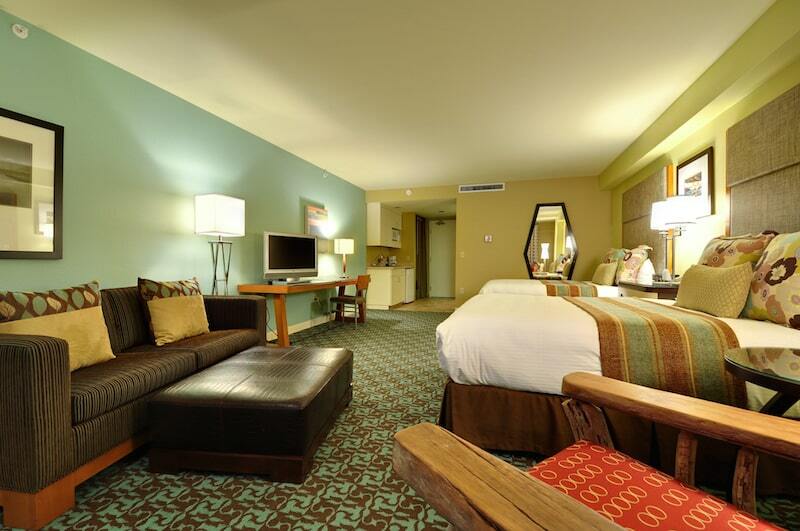 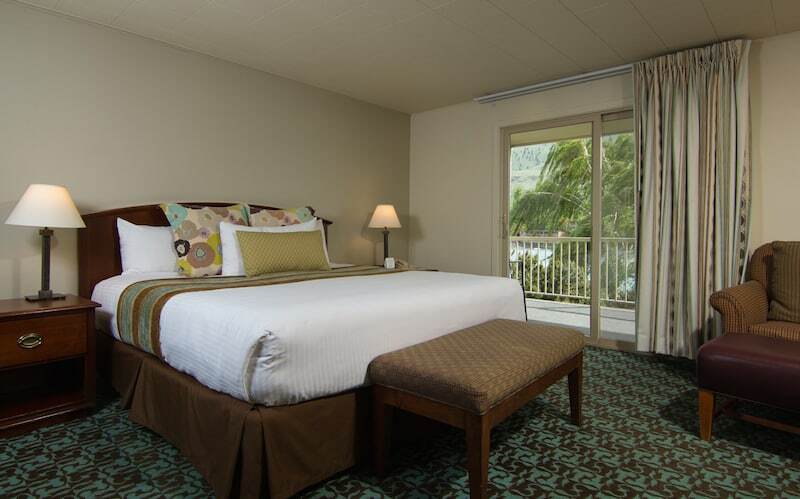 Relax in our lakefront studio hotel room with a pillow-top king bed, hide-a-bed, flat screen tv, and a quick stroll to enjoy all of the amenities that the resort has to offer! 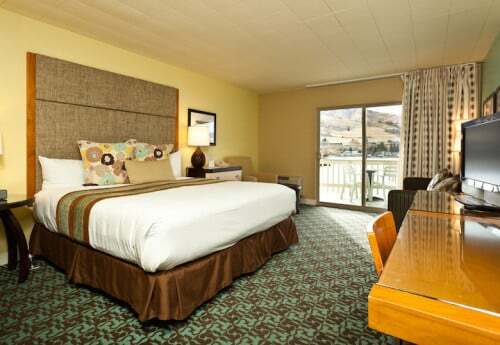 With panoramic uplake views, bask in the natural beauty at Campbell's Resort. Room sizes vary from room to room. 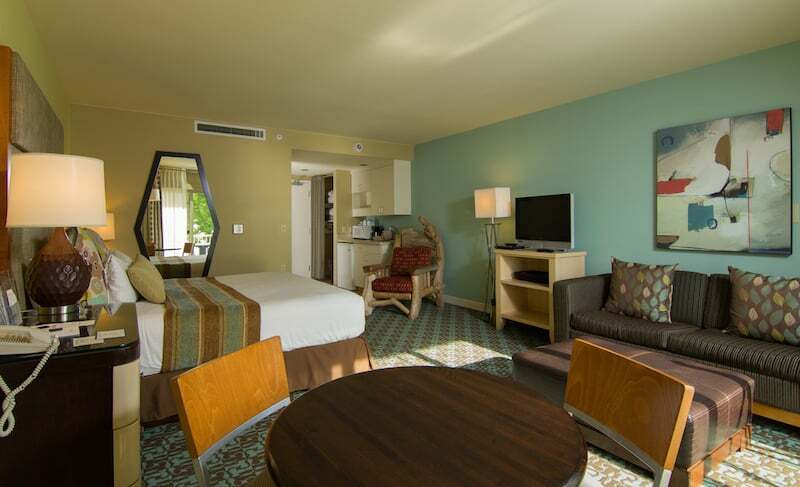 Relax in our lakefront studio hotel room with two pillow-top queen beds, flat screen tv, and a quick stroll to enjoy all of the amenities that the resort has to offer! 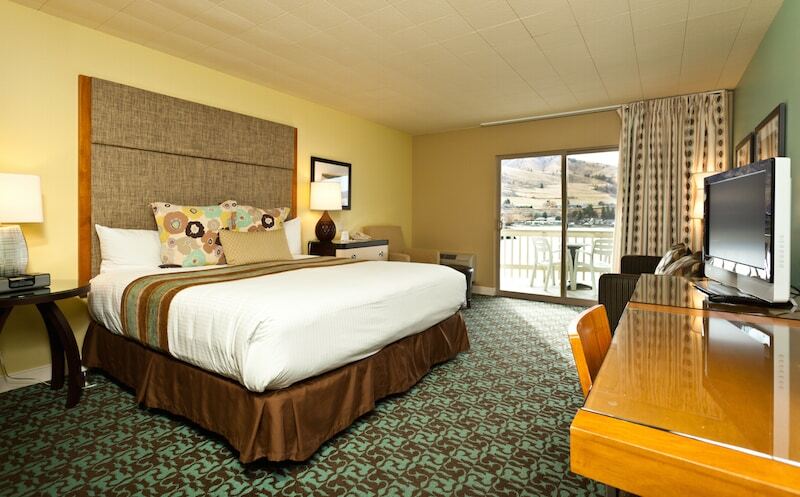 With panoramic uplake views, bask in the natural beauty at Campbell's Resort. 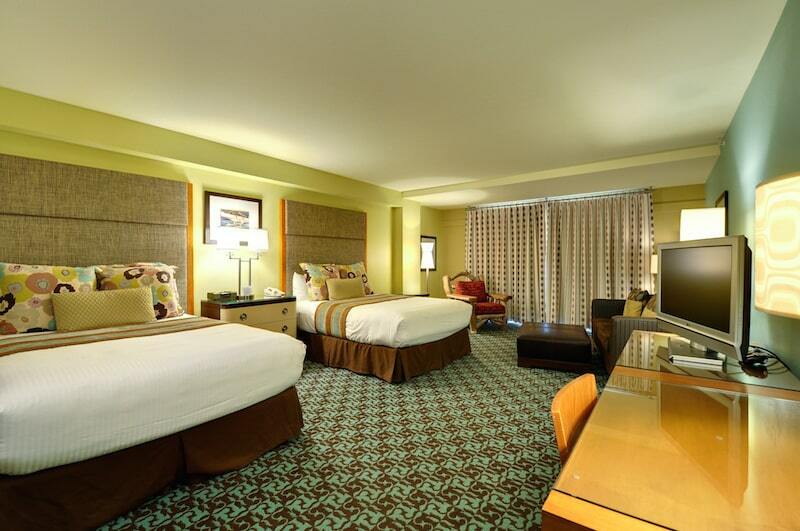 Room sizes vary from room to room. 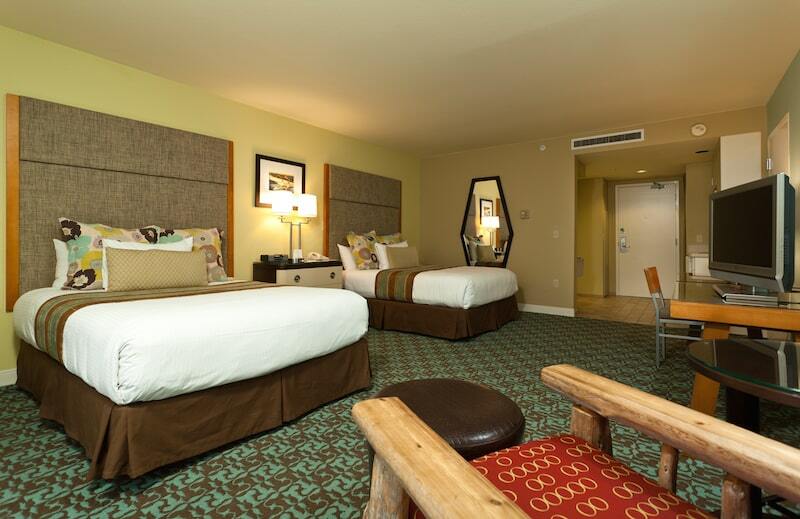 Relax in our lakefront deluxe hotel room with a pillow-top king bed, flat screen tv, efficiency kitchenette, and a quick stroll to enjoy all of the amenities that the resort has to offer! 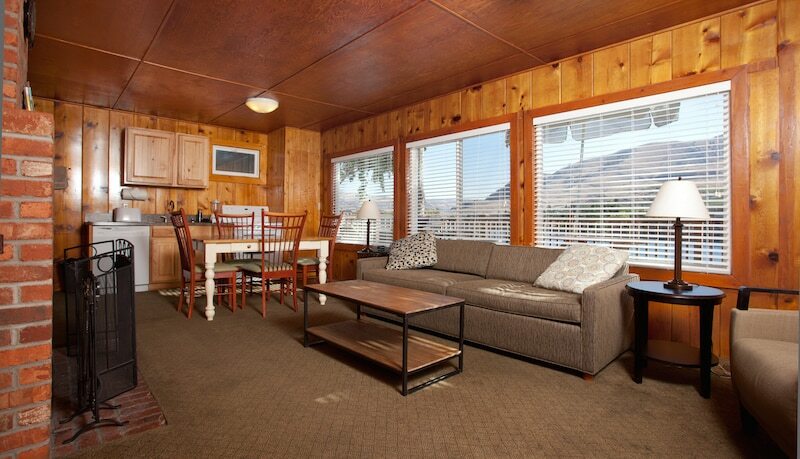 Located in Lodge 1 or 3, all deluxe units offer elevator access to panoramic uplake views. 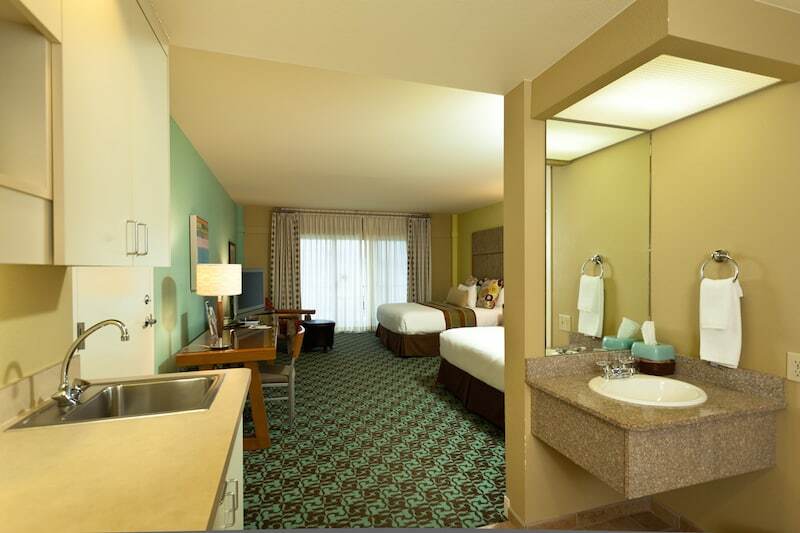 Relax in our lakefront deluxe hotel room with two pillow-top queen beds, flat screen tv, efficiency kitchenette, and a quick stroll to enjoy all of the amenities that the resort has to offer! 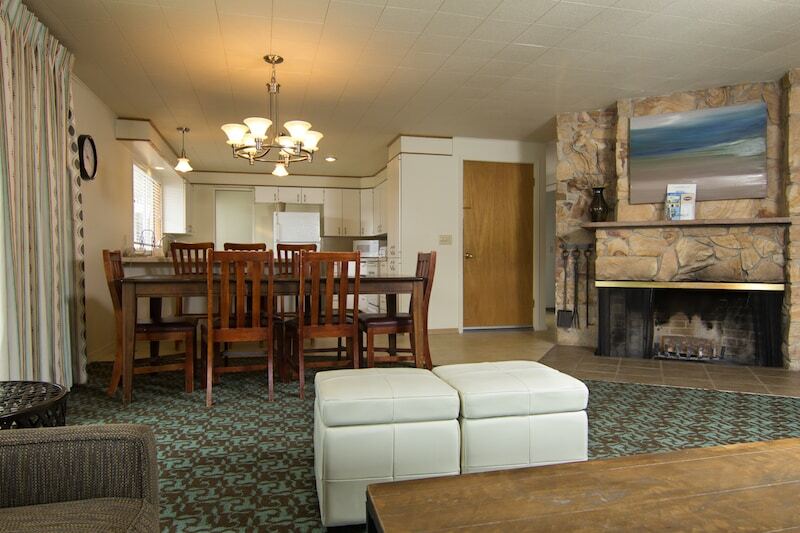 Located in Lodge 1 or 3, all deluxe units offer elevator access to panoramic uplake views. 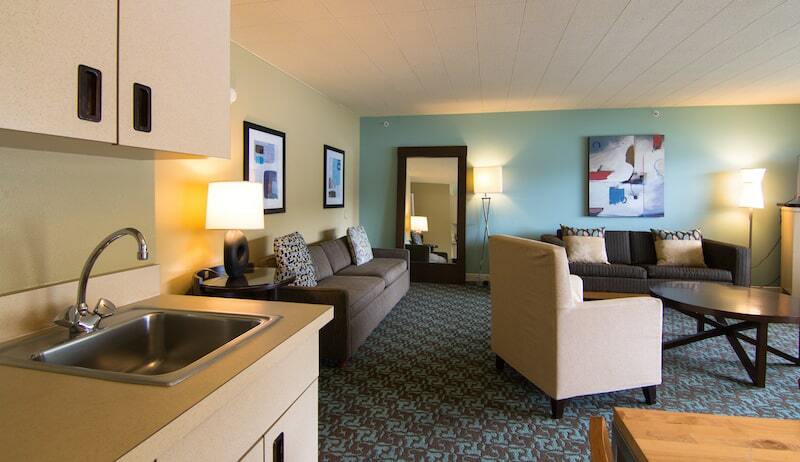 Relax in our lakefront deluxe hotel room with two pillow-top queen beds, hide-a-bed, flat screen tv, efficiency kitchenette, and a quick stroll to enjoy all of the amenities that the resort has to offer! 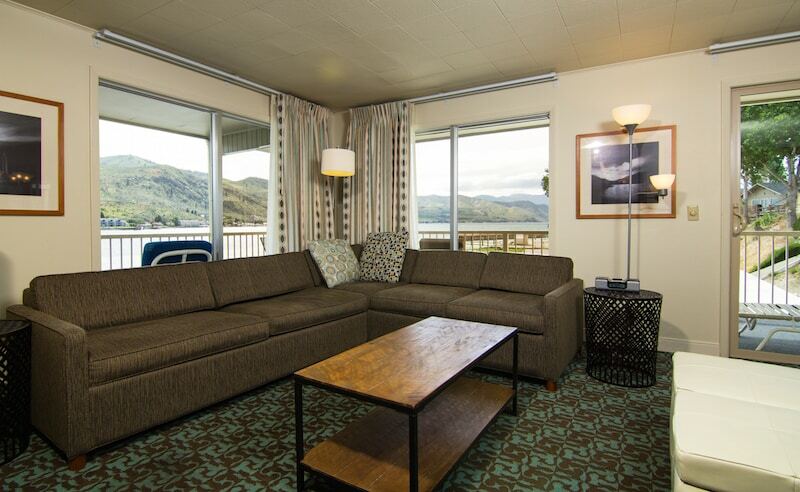 Located in Lodge 1 (first floor), all deluxe units offer elevator access to panoramic uplake views. 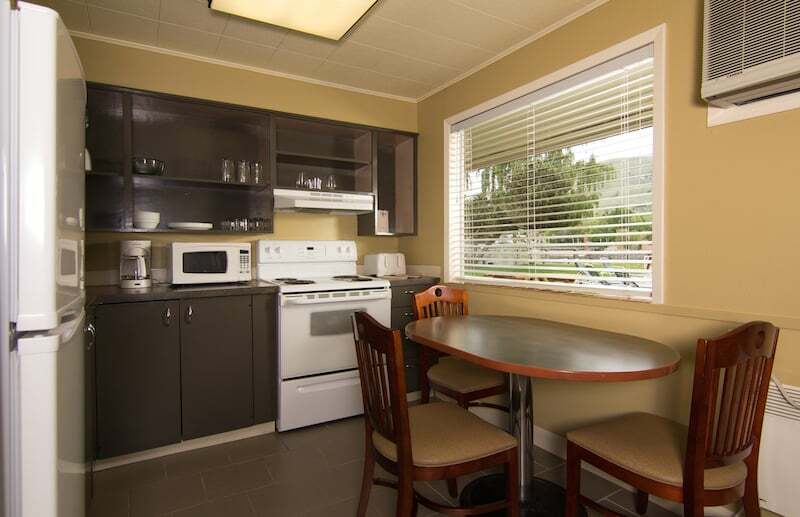 Relax with a view of Lake Chelan in your two bedroom unit with a full sized kitchen. 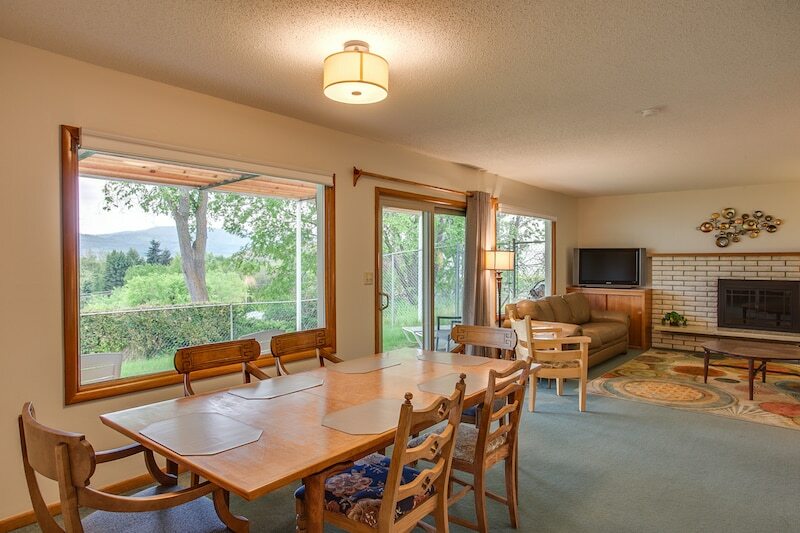 This unit is reminiscent of a 1950's lake vacation where the family can easily come together for a meal, then continue to enjoy the natural beauty of Lake Chelan. 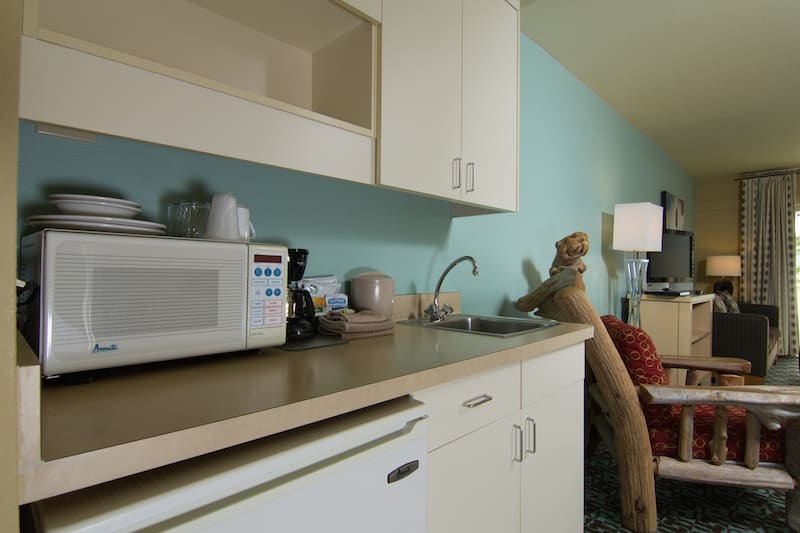 This unit offers a private patio, two bedrooms (one with a queen-sized bed & one with a king-sized bed), a living room with a hide-a-bed, flat screen tv, a full kitchen, and a quick stroll along the historic waterfront boardwalk to enjoy all of the amenities the resort has to offer. 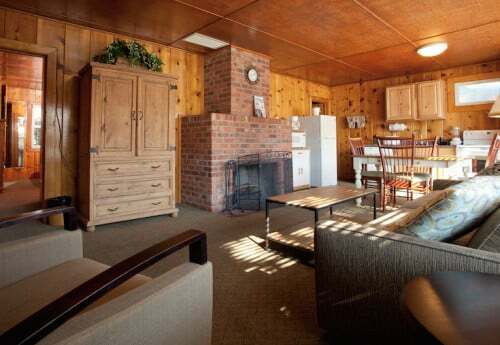 These units are located in Lodge 5, along the western portion of the property with direct access to the lake. 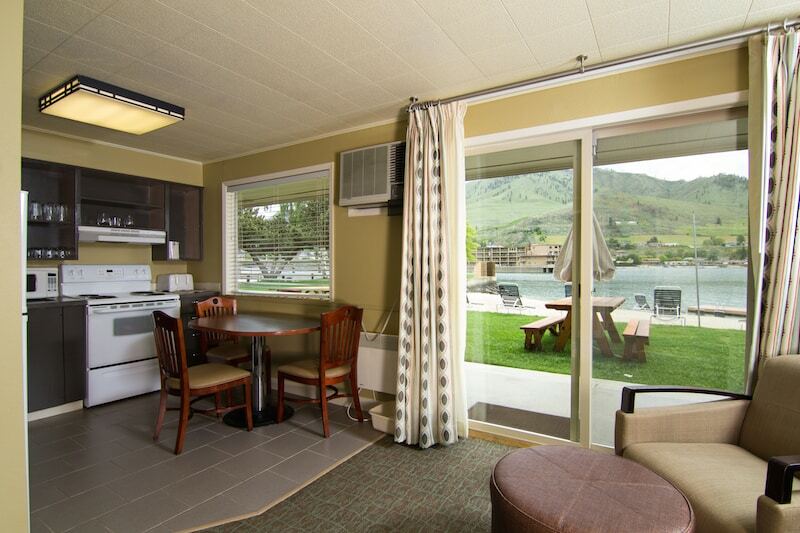 Relax with a view of Lake Chelan in your two bedroom unit with a full sized kitchen. 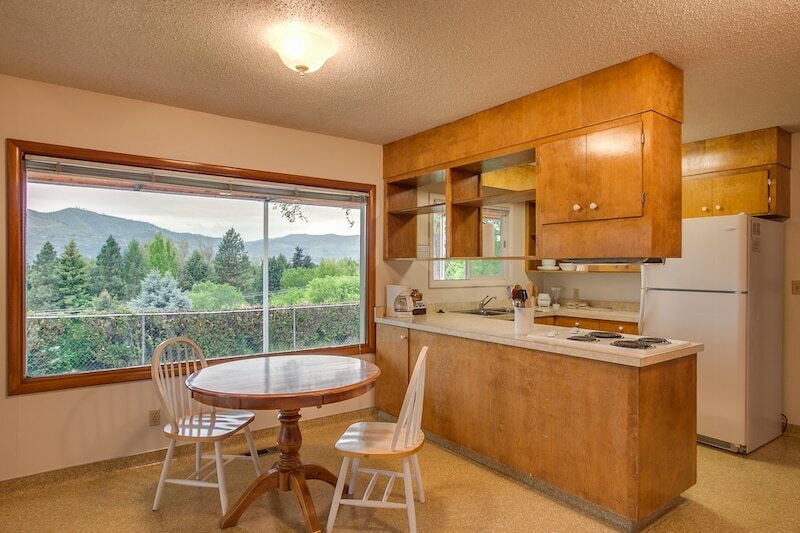 This unit is reminiscent of a 1950's lake vacation where the family can easily come together for a meal, then continue to enjoy the natural beauty of Lake Chelan. 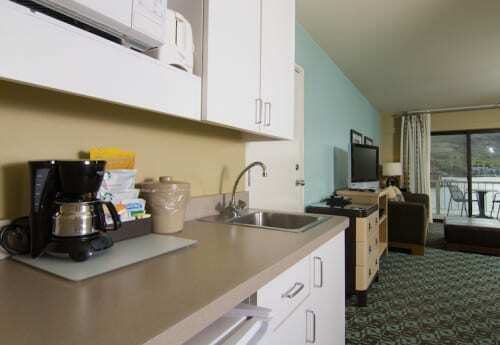 This unit offers a private patio or balcony, two bedrooms (one with a queen-sized bed & one with a king-sized bed), a living room with hide-a-bed, flat screen television, a full kitchen, and a quick stroll along the historic waterfront boardwalk to enjoy all of the amenities the resort has to offer. 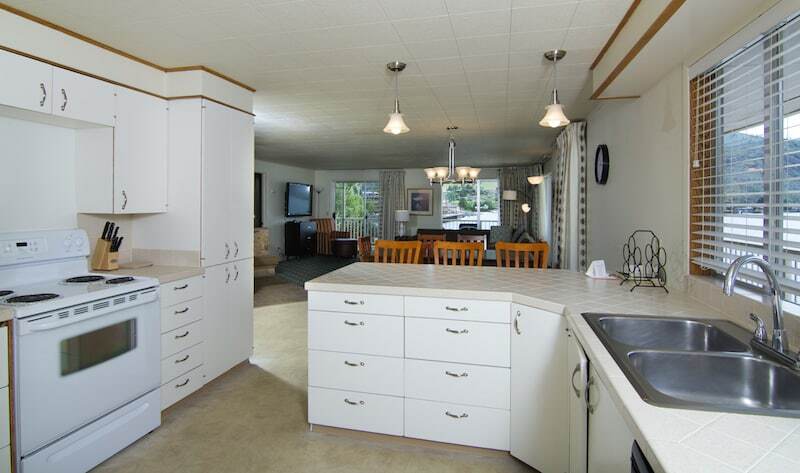 These units are located in Lodge 5, along the western portion of the property with stair access to the beach. 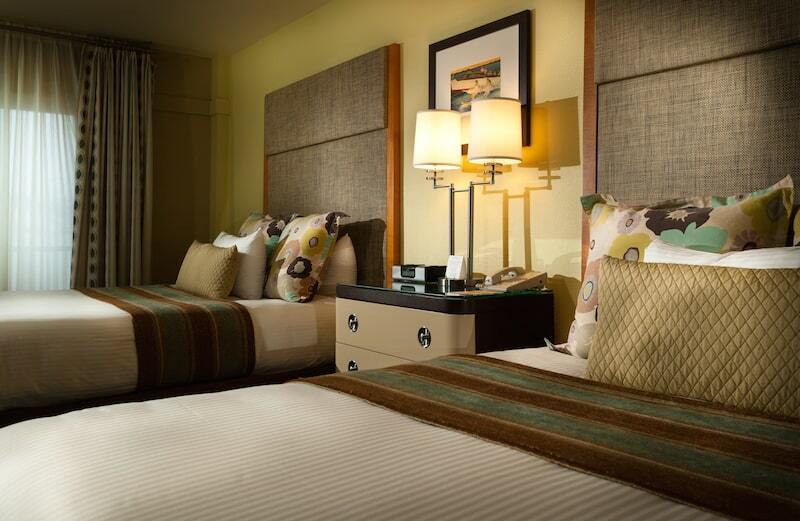 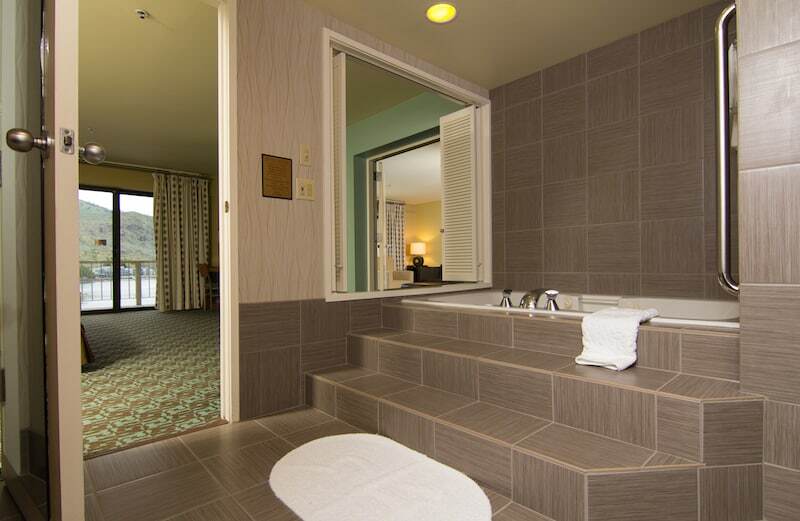 The Presidential/Honeymoon suite provides the ultimate luxury experience at Campbell's Resort. 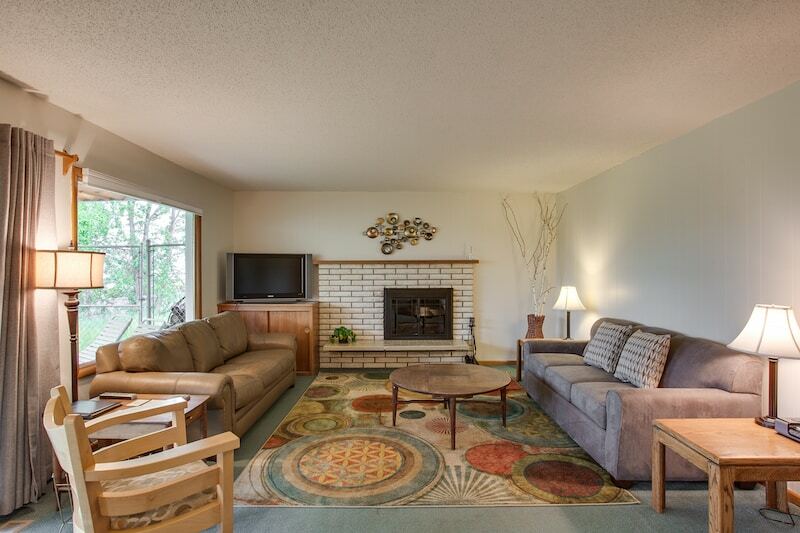 From its open sitting room with a fireplace, to a kitchenette complete with the essentials, this suite provides a spacious and comfortable way to relax. 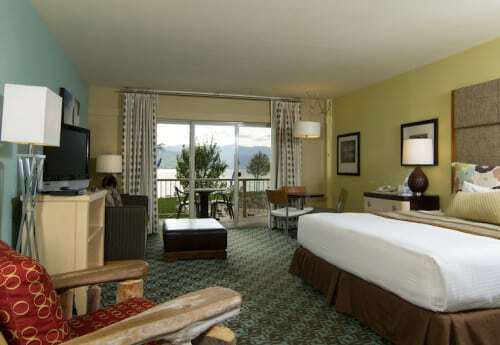 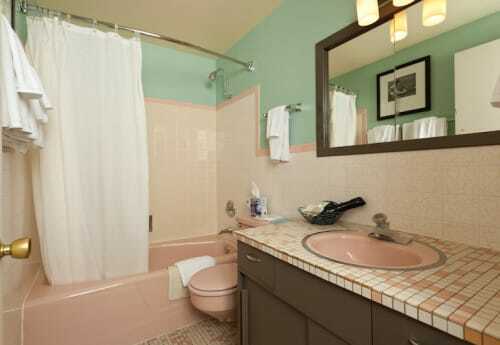 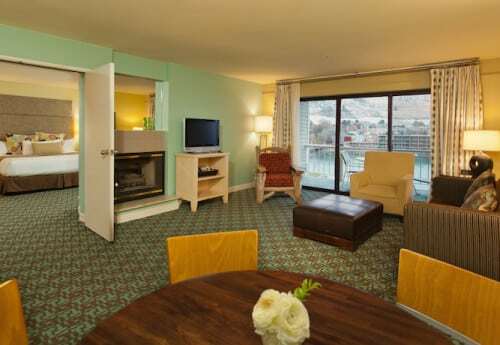 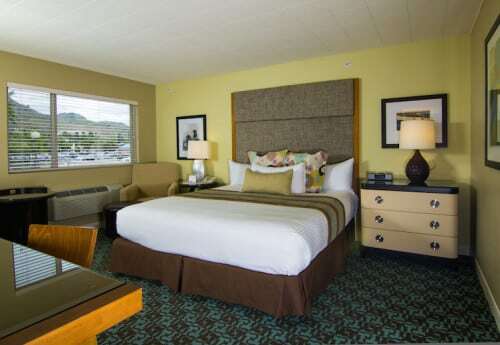 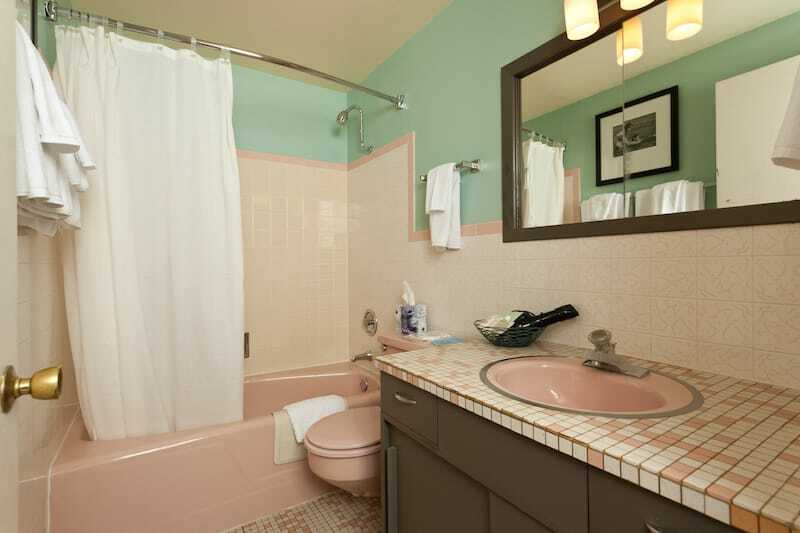 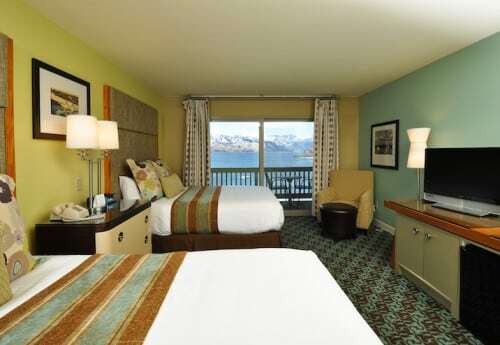 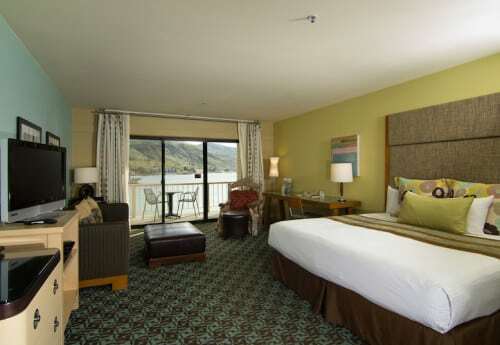 This unit offers a king-sized bed and jacuzzi tub for your own private getaway with a panoramic view of Lake Chelan. 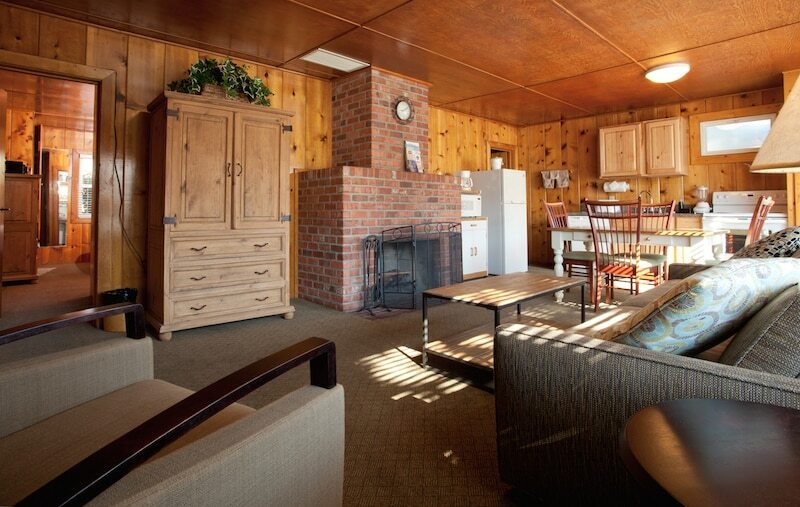 The Presidential/Honeymoon suite is located at the top of Lodge 3. 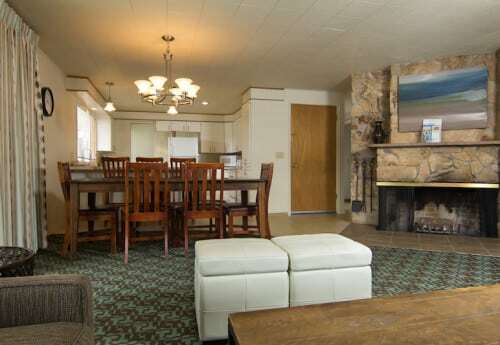 Large living room with two hide-a-beds, a 6 person dining table, kitchenette has small sink with dishes and utensils, under-counter fridge, microwave, coffee maker, and toaster for light meal preparation, separate bedroom with 1 king bed and private bathroom, Lodge 4, top floor. 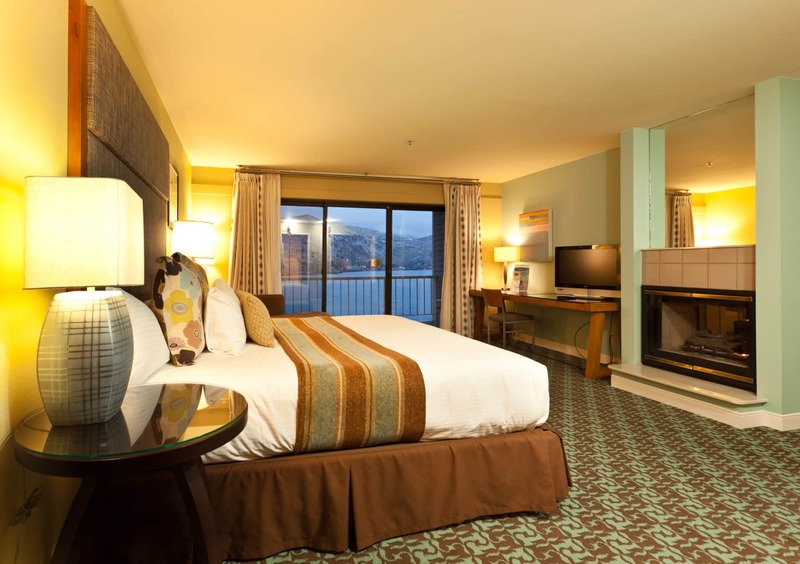 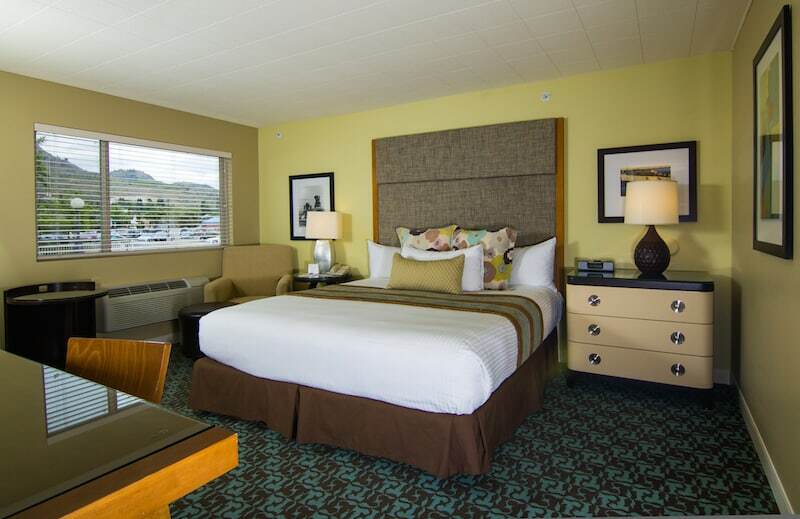 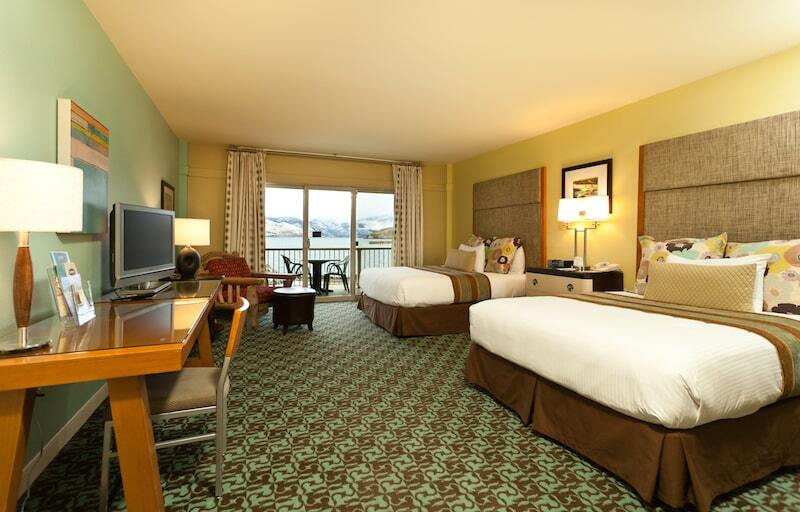 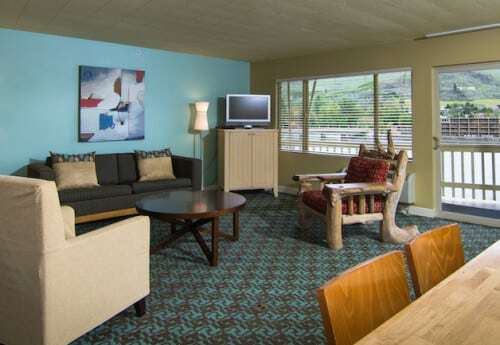 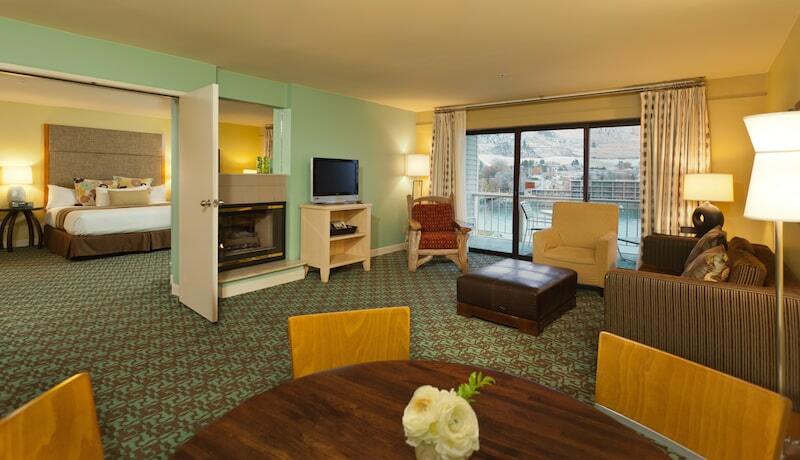 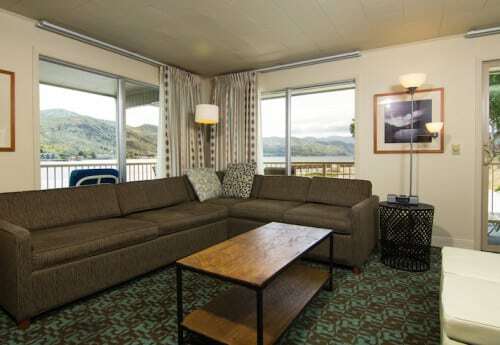 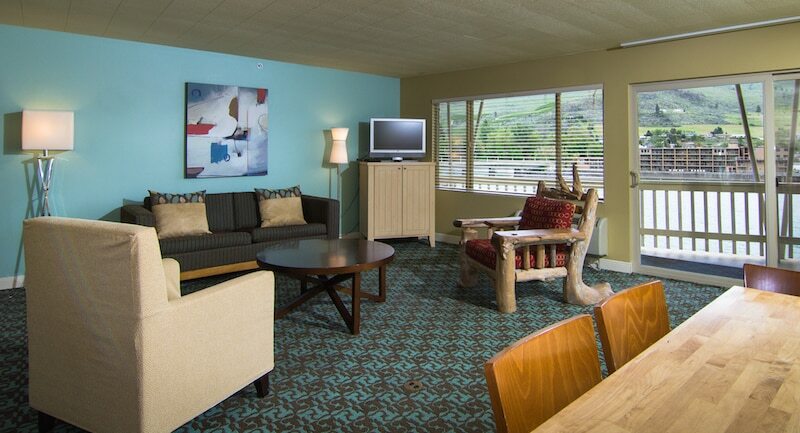 The Penthouse suite provides a spacious getaway overlooking beautiful Lake Chelan. 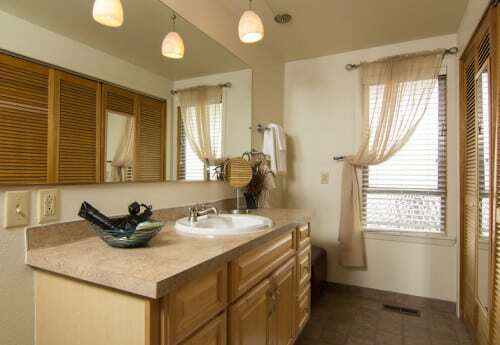 This two bedroom apartment offers a master bedroom with king bed, flatscreen TV, and its own master bathroom. 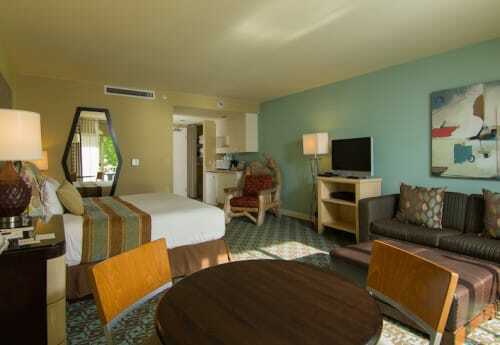 There is also a separate bedroom with two queen beds, flatscreen TV, and dedicated bathroom. 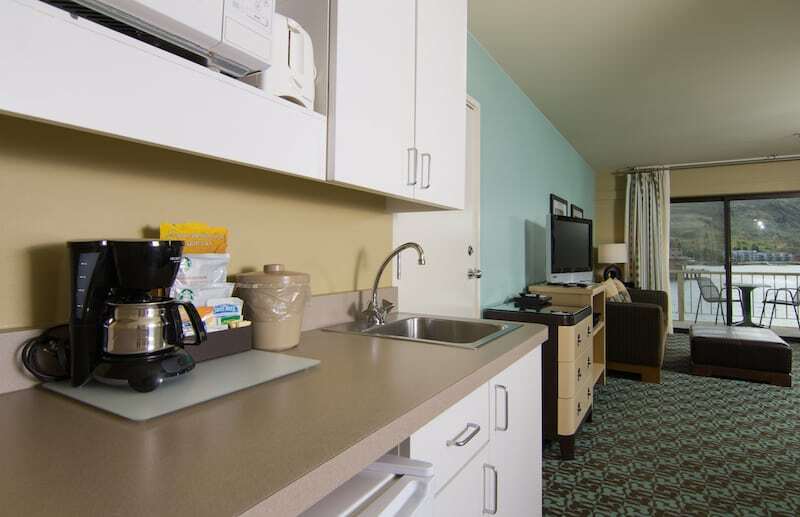 The suite also offers a full kitchen, breakfast bar with barstools, a day bed, and hide-a-bed. 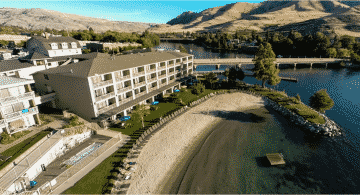 The living room offers a flat screen TV, wood burning fireplace and private deck with a BBQ grill overlooking the natural beauty of Lake Chelan. 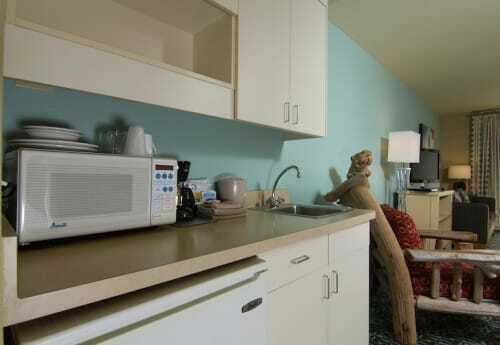 This unit is located on the parking lot level with stair access to the beach. 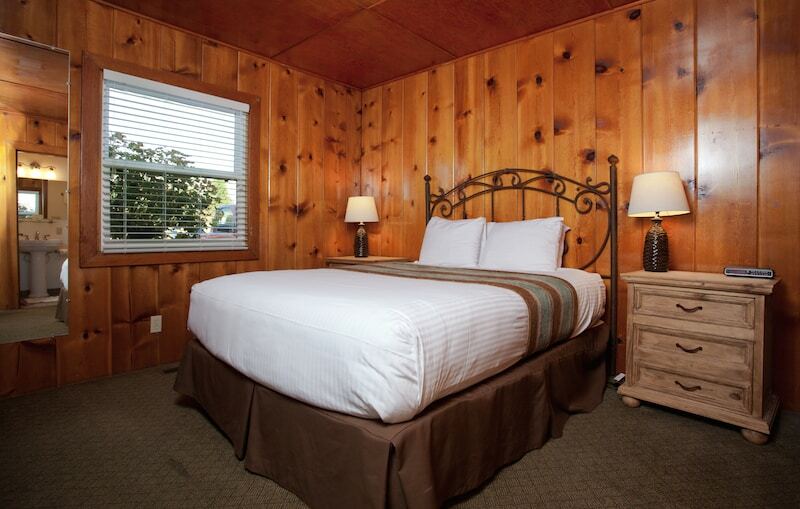 Our cabins take you back to simpler times. 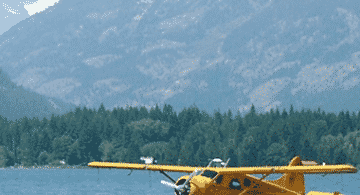 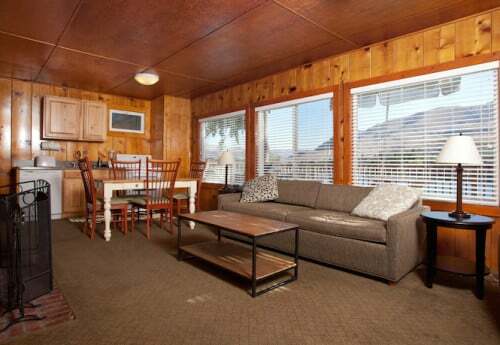 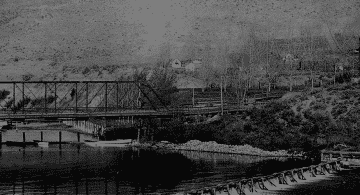 Our stand-alone cabins are situated on a bluff and overlook beautiful Lake Chelan. 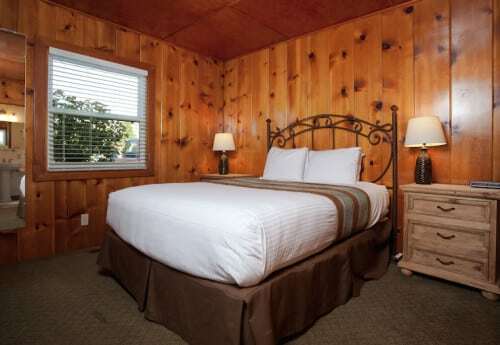 The cabin includes two private bedrooms, each equipped with a queen-sized bed and a private bathroom in each bedroom with a hide-a-bed in the living room. 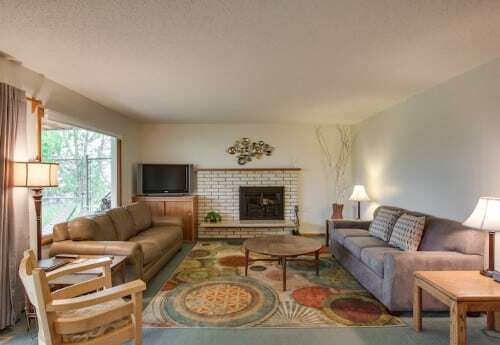 Relax in rustic comfort in your private bedroom, spend time in the spacious living room, or immerse yourself in the natural scenery on the private deck with a BBQ grill. 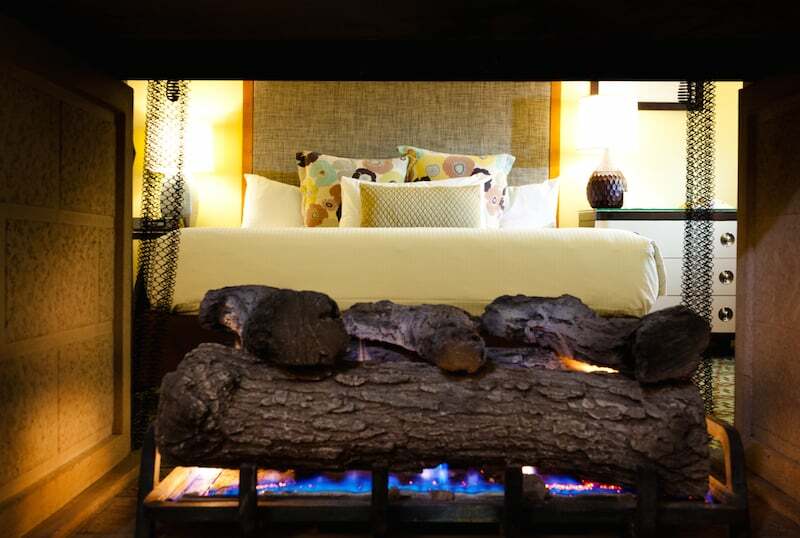 In the evening, warm up with the crackle of a real fire in the wood burning fireplace. 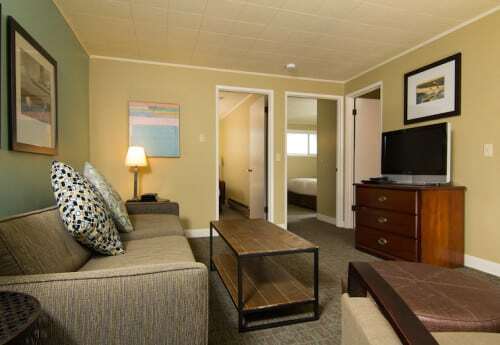 The cabins have stairs to access the beach. 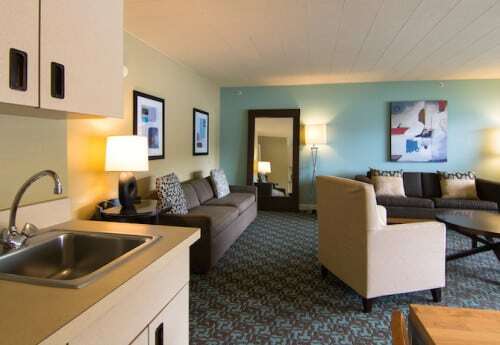 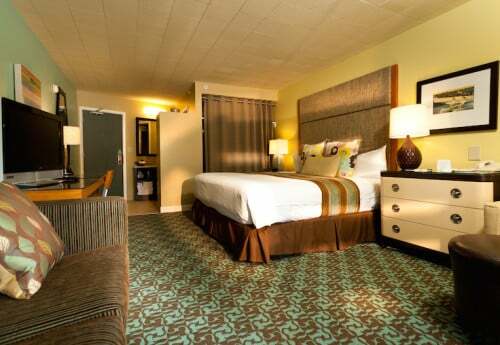 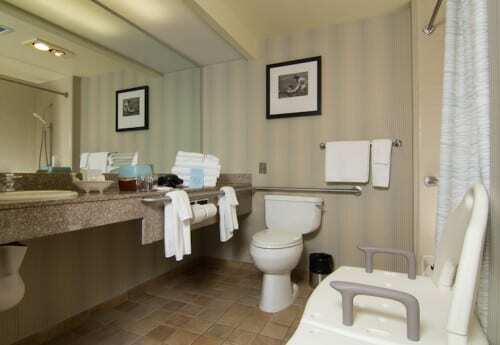 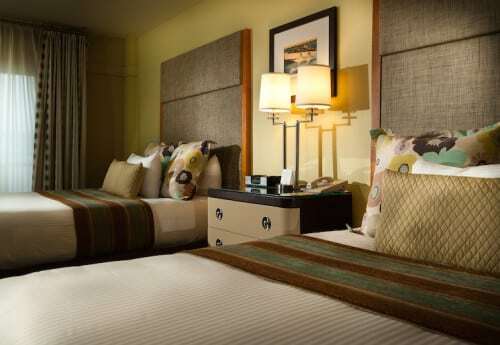 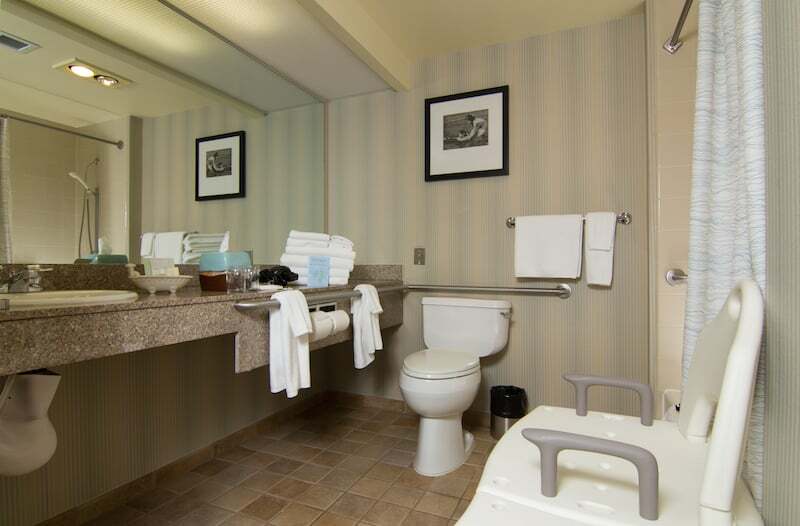 These studio hotel rooms have a pillow-top mattress king bed and are wheelchair accessible, featuring large bathrooms with safety bars and a portable bathtub chair. 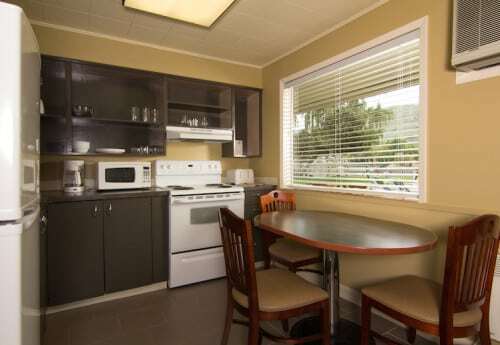 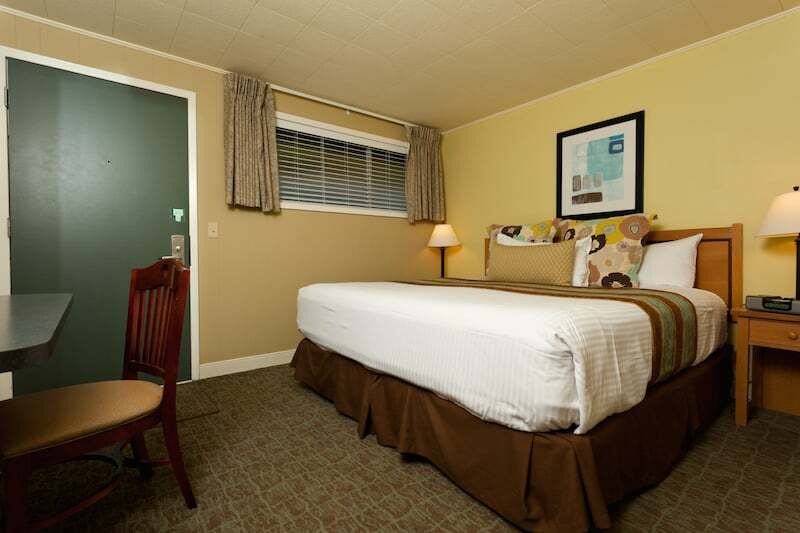 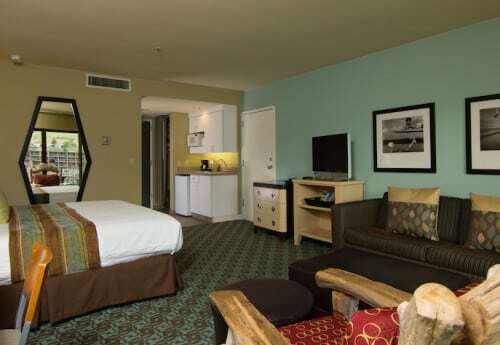 This room includes a hide-a-bed and is equipped with an efficiency kitchenette. 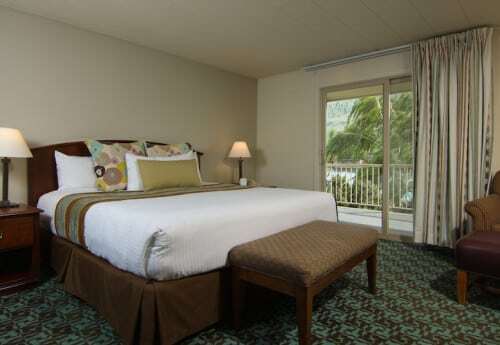 This room has a panoramic lake view and a private balcony and is located in Lodge 1 or 3 with elevator access. 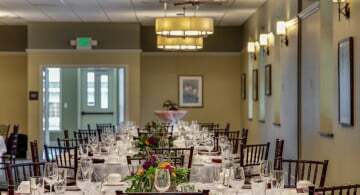 The ACC House is a 1,200 sq. 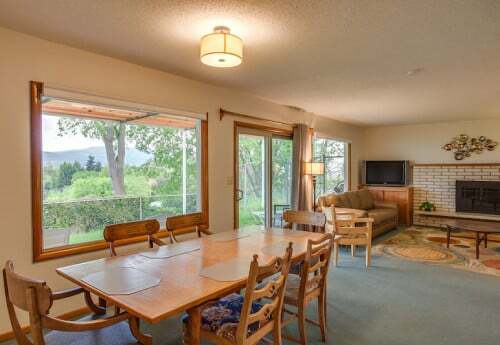 ft. home located 1/2 mile from Campbell’s Resort (12 minute walk) just up the hill from Don Morse Park. 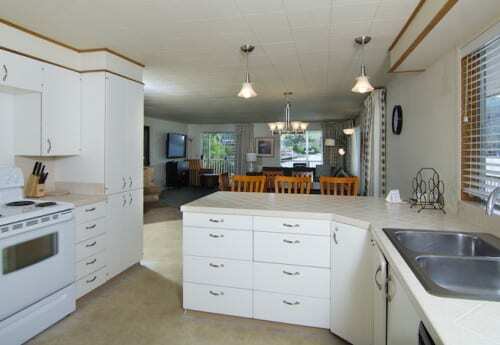 This home features 2 bedrooms and a hide-a-bed in the living room. 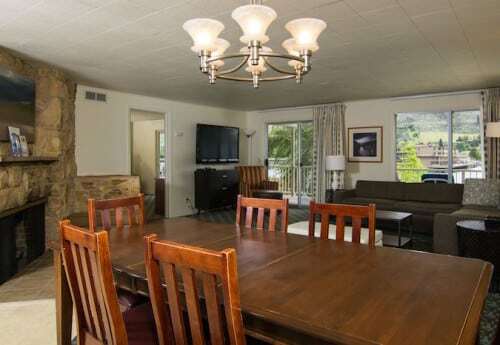 The ACC house sleeps 6 people and has views of the park. 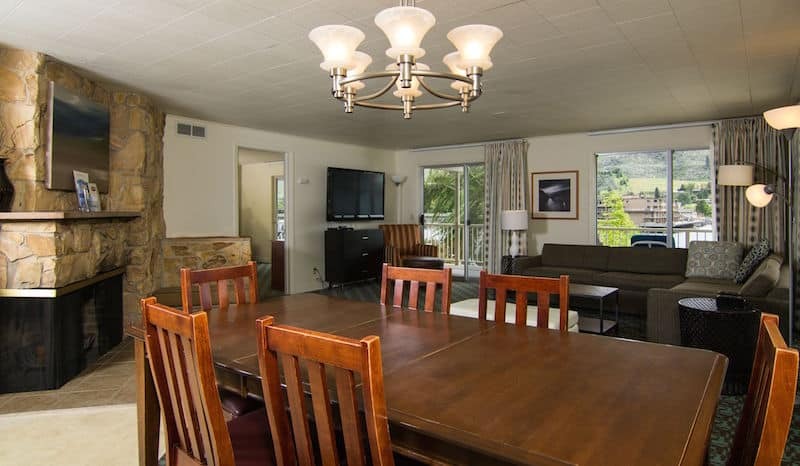 Managed by Campbell’s Resort, this rental provides its occupants with permission to use the resort’s property, pools and beach amenities.